We’re in what’s called ‘the hungry gap’. We’ve finished (or are bored of) eating stored crops from summer (pumpkins, carrots and onions for example) and things we’re harvesting that were planted in autumn (cabbages, kale, leeks for example). The summer tomatoes, beans and corn are some way away. 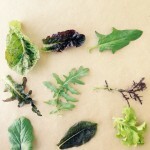 I sowed some greens in late April and May which I’m harvesting now ‘leaf by leaf’ to make a daily salad. Add some herbs such as chives, mint and coriander and we’ve got a great mix. 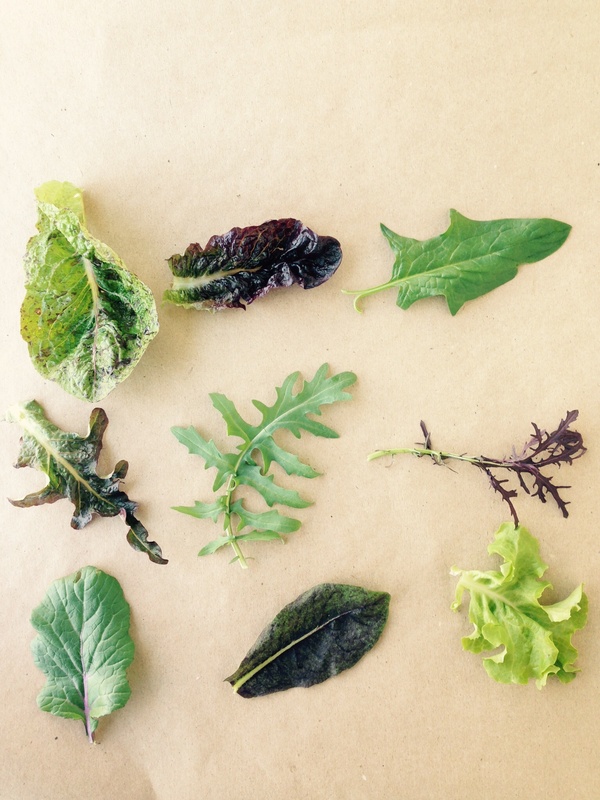 I counted nine leaves in today’s salad – lettuce and spinach are still growing pretty slowly but chicory, rocket and ‘Asian greens’ (part of the brassica family like Tat Soi, Mibuna and Mizuna) are growing well and aren’t yet going to seed.